Fang Zen Xian studied in China National Academy of Art. Upon graduation in 1953, he continues to further his study by attending Central Academy of Fine Arts. 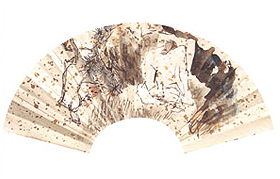 A year later, he was invited back to China National Academy of Art as a professor. 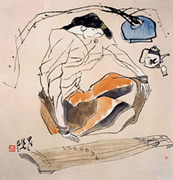 In 1978, he was promoted to the rank of vice chairman of the Zhejiang Province Artists' Council. 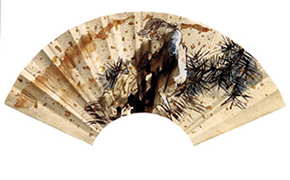 Still he continue to teach Chinese printing until he was transfer to Shanghai Chinese Painting Academy in 1983. 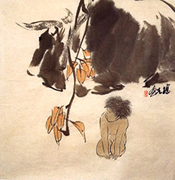 He become vice president of the school the following year and was elected to the China National Artists' Council. 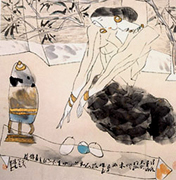 In 1985, he became the executive director of the Shanghai Art Museum. 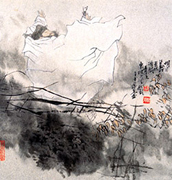 He was elected to the rank of vice chairman in China national Artists' Council in 1993. 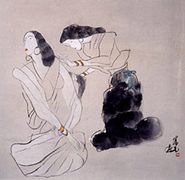 He has since continued to teach Chinese Painting at Shanghai University and China National Academy of Art. Over the past thirty years, Fang Zen Xian has become international renown; his art works have exhibited all over the world. He has won many acclaims and awards. 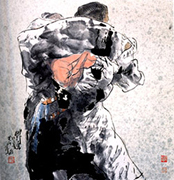 He currently is serving as chairman of Shanghai Artists' Council, President of Shanghai Art Museum.